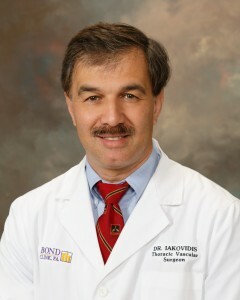 Five Minutes with Dr. Panos Iakovidis - Bond Clinic, P.A. Bond Clinic, P.A. SCMG: Were you even aware of arena soccer before the Tropics came along? SCMG: So that Major Arena Soccer League home opener against the two-time defending western division champion San Diego Sockers last November, who were a huge favorite against you guys, was really something then for you, coming back from a 4-1 deficit in the fourth quarter to win 6-5 with the winning goal coming with just 31 seconds to play. SCMG: What does it mean for Polk County to have now two soccer franchises to call their own? SCMG: You’ve been a soccer player most of your life. Are you a better player or owner? SCMG: You had thousands of fans at the Lakeland Tropics home opener on May 20, a thrilling 4-3 win over The Villages SC, who are the defending southeast division champions. What were you’re emotions at kickoff? SCMG: And what were they at the end of the game? SCMG: You’re kind of in a soccer cradle, with Orlando City to the east having great success in Major League Soccer, and Tampa Bay to the west, having great success in the Division 2 United Soccer League, with hopes of joining MLS in a few years. What does that mean for the Tropics? SCMG: After decades of talking like it would happen, do you think we’ve finally turned the corner on soccer in the country as a whole? SCMG: Community is big, you’ve mentioned it a few times. What do you want a family to think once they’ve attended an arena or outdoor Tropics game?